Cynthia, a.k.a. 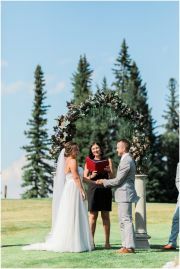 The Red Shoe Reverend, lives in Calgary, has been recognized as the Most Popular New Wedding Celebrant in Alberta by the prestigious international Wedding Industry Experts Awards. She is Ordained with Clergy Support Memorial Church . She also has a good command of the Spanish language and would be willing to perform bilingual English/Spanish ceremonies. All elements of any wedding ceremony will be legal and conform to the Marriage Act of AB. She can also accommodate vow renewals. Whether you want to exchange your vows at the top of a mountain, a lavish venue or anywhere in between, Cynthia is committed to make your day unforgettable. One thing we do know is she the most popular officiant on our roster so she books up quickly!!! Cynthia, we wanted to thank you for a wonderful and flawless ceremony. You made our day great and we are incredibly grateful. Rev Cynthia Beare: Thank you so much for doing such a beautiful job of our wedding ceremony. It was so special to have someone who knew us and created such a personalized ceremony(Yet Christian), that portrayed our love for each other perfectly. We will cherish that day for the rest of our lives! Thank you for the beautiful heart rock as well. We will have it as a reminder of that day forever! Cynthia Beare offered everything and more! She was able to put one of my favourite love poems into the service as well as our personal vows. She was very engaging with our guests as well. She gave us a sweet little glass heart as a gift. I couldn't have asked for a nicer, more passionate person to officiate our wedding. The reservations office were helpful when I was making the deposit. You called back at your most convenient time and it was fast and efficient. I've already referred All Seasons Weddings to a few engaged friends !! :) Cynthia is the absolute best definition of a wedding officiant ! She is also a teacher so I knew our ceremony would be worded properly which also gave me peace of mind. Cynthia Beare, Thank you so much for what was an amazing wedding ceremony. We truly appreciated your flexibility, guidance, and professionalism. We were so happy to be able to include our families and friends in Chile and Mexico through live streaming. We wouldn't have been able to do it without your Spanish officiating! We will let people getting married know about you for sure! Thank you again for a beautiful ceremony Cynthia (Beare). 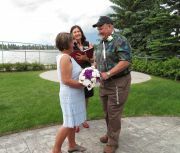 Thank you again for being our Officiant Cynthia (Beare). We, and everyone else, loved that the ceremony was quick and went smoothly! When we were deciding on someone to officiate our wedding, we knew we wanted someone that had a great sense of humour and a willingness to not do a normal ceremony. From Cynthia (Beare)'s red facinator to her beautiful words written in honour of Mum, she went above and beyond what we had hoped for. She is a lovely lady and we are so blessed to have had her unite our two families. Thank you Cynthia for all you did to help make our day as perfect as it was!! 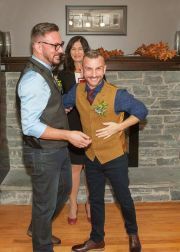 I couldn't have been happier with our selected Officiant, Cynthia Beare. She made the very detailed process a breeze with her organization and punctuality. She was down to earth and easy to work with, and really took interest in making the ceremony as personal as we wanted to make it. You truly get the idea that she loves love, and is happy to help merge the lives of two individuals on their special day. 5 Star rating! Thanks for a memorable ceremony! 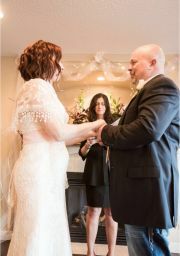 Cynthia Beare was a wonderful officiant for our wedding. In all our meetings she was kind, prompt and very organized. She helped us write our ceremony giving great advice! 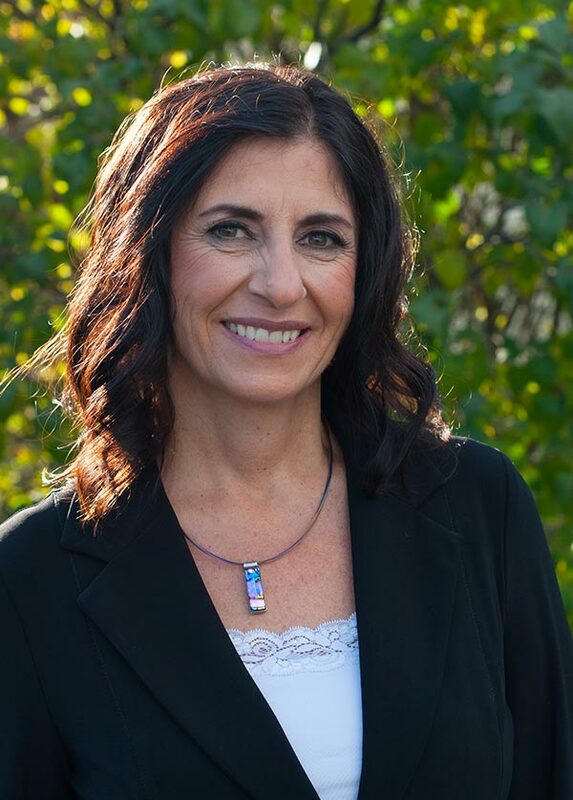 We would recommend her to anyone looking for a wonderful, simple officiant for their wedding! 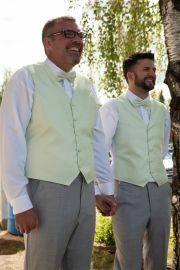 All staff at All Seasons Weddings were great and prompt. Cynthia Beare was wonderful! 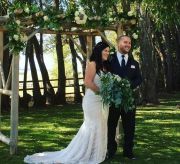 She was supportive and friendly, and helped us create a ceremony that represented our values, and how we feel about each other. She radiates happiness and makes you feel at ease in front of everyone! 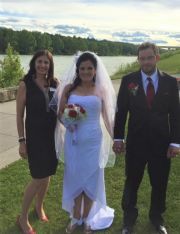 Cynthia (Beare) officiated our Intimate mountain elopement at Moraine Lake. She was fantastic! 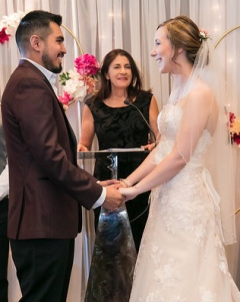 From the beautiful ceremony that included personal additions, to her professionalism, to her amazingly bright and positive energy, Cynthia was the perfect person to officiate our wedding. She was completely flexible when we changed our venue location from lake Louise to Moraine Lake 24 hours before the wedding date. We ended up having a very chilly day and Cynthia was such a trooper. She still showed up early and was up for the short hike to our ceremony location. Thank you Cynthia for making our day extra special. Cynthia Beare was wonderful. She made us feel at ease and helped us every step of the way through the ceremony. Words cannot thank you enough. Your patience, detail and warm personality were exactly what we needed for our wedding. Thank you for your guidance and attentiveness towards planning the ceremony and adhering to all of our requests. We are truly grateful for your assistance and will always cherish the beautiful day you helped us create. Cynthia did a great job. Our first meeting went well. She answered all our questions and also gave us suggestions for the wedding day to help us be more prepared. 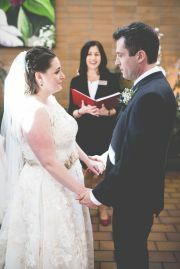 We were absolutely thrilled to have you, Cynthia, be the officiant at our wedding. Months before the wedding Cynthia touched base with us and asked us what our vision for our wedding was and if we wanted something in-particular for our ceremony. She then took our thoughts and ideas and provided us with sample ceremonies. About 2 months before the wedding, Cynthia touched base again and arranged a meeting to make sure we were all on the same page. At the meeting, Cynthia had a list of questions/things to think about that had not crossed our minds and we super appreciated her taking the time to share her expertise and experience in having the small details figured out before the big day. 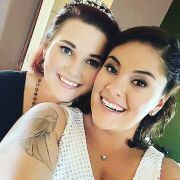 Having small details arranged makes everything run so much smoother and it gave us the opportunity to just relax and be in the moment on our special day. I loved that Cynthia took the time to come see me, the bride, before the wedding began to make sure I was feeling good and was ready to begin our day. It was a very nice and personal touch! The ceremony was wonderful. Cynthia had our vows printed and ready for us to recite. She had the signing of the register table already organized and labeled tabs as to where everyone signed so it was seamless and easy. Cynthia was always aware of where our photographer was and made an effort to remove herself from the "first kiss" photos. I am so so so happy with our experience and we thank Cynthia so much for making it absolutely perfect! We contacted Rev Cynthia Beare through All Seasons and it was a positive experience all the way through. We met her and she was very polite and professional. She was well prepared and gave us a reprieve from all the worry and stress of planning our big day. She had much insight and helped us out a lot. Her energy and presence at our wedding ceremony was a lovely experience that many of our guests, as well as us, have shared since. From the two of us, a sincere thank-you to Cynthia for being a part of and helping to make the best day of our lives that much more memorable.